Here's a tempting offer! 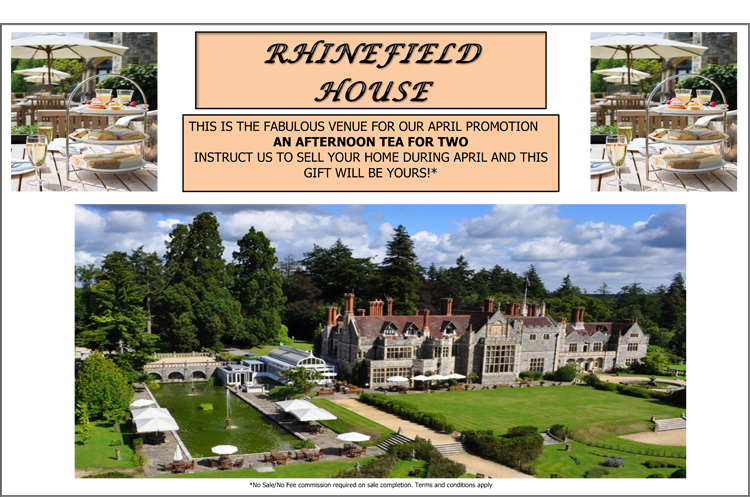 If you instruct us to sell your home in April 2018, you can have Afternoon Tea for Two at stunning Rhinefield House. A busy period of selling has left our stock of property low, so we thought this would be a good added incentive to any potential homesellers to use our services. If you own a home in our area and are thinking of selling, please do get in touch to arrange an appointment for an appraisal. We would love to tell you all about how we market properties with a Full Service package, on a No Sale/No Fee basis. No upfront fees - the only possible fee to pay at the outset is £65 if an Energy Performance Certificate is required. Special term and conditions for this offer are that we are instructed on a sole agency basis for a minimum of 4 weeks, and that we may erect a For Sale board. We look forward to hearing from you and in the meantime would like to wish everyone a Very Happy Easter.